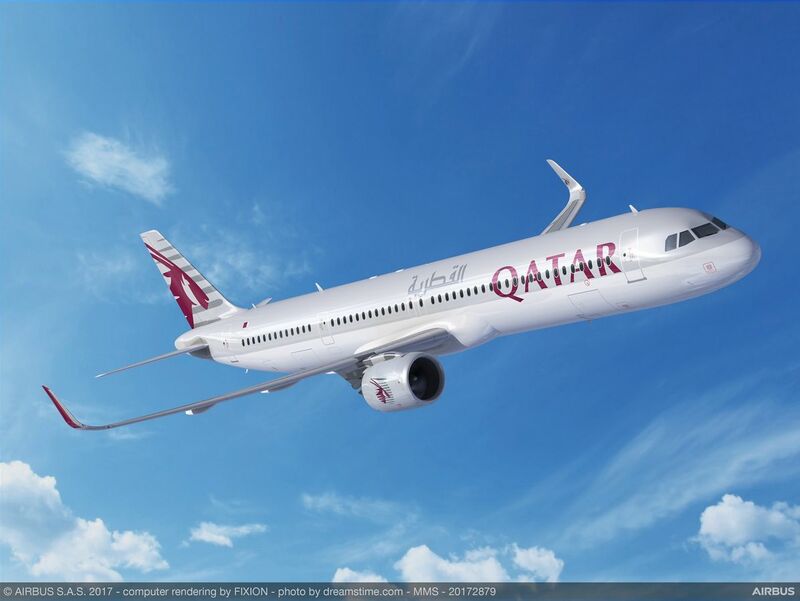 Qatar Airways has re-affirmed its earlier order for 50 A320neo with a firm order for 50 A321neo ACF (Airbus Cabin Flex configuration). The selection of the largest member of Airbus’ single-aisle Family reflects the airline’s need for efficiency and additional capacity. This updated order replaces the original one placed in 2011. Joining Qatar Airways’ fleet of 50 A320ceo from 2019 onwards, the A321neo ACF will support the continuous development of Qatar Airways’ network, leveraging the A321neo range capability and the unprecedented customer experience. The total value of the deal is $6.35 billion at list prices. The A321 is the largest member of the A320 Family, seating up to 240 passengers. Incorporating the latest engines, aerodynamic advances, and cabin innovations, the A321neo offers a significant reduction in fuel consumption of at least 15 percent per seat from day one and 20 percent by 2020. The A321neo ACF introduces new door and fuselage enhancements allowing airlines to make better use of the cabin space and also provide provision for more underfloor fuel capacity for up to 4,000nm transatlantic range. The A320neo Family incorporates the very latest technologies including new generation engines and Sharklets, which together deliver at least 15 percent fuel savings at delivery and 20 percent by 2020. With more than 5,200 orders received from 95 customers since its launch in 2010, the A320neo Family has captured some 60 percent share of the market.